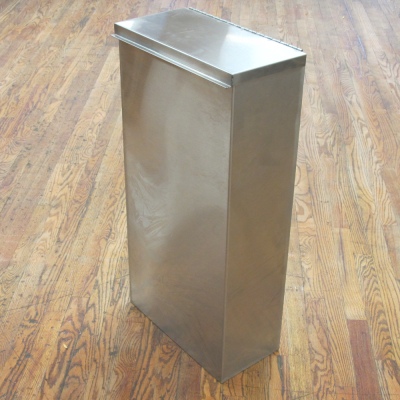 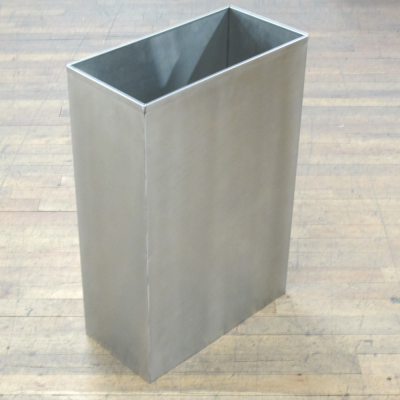 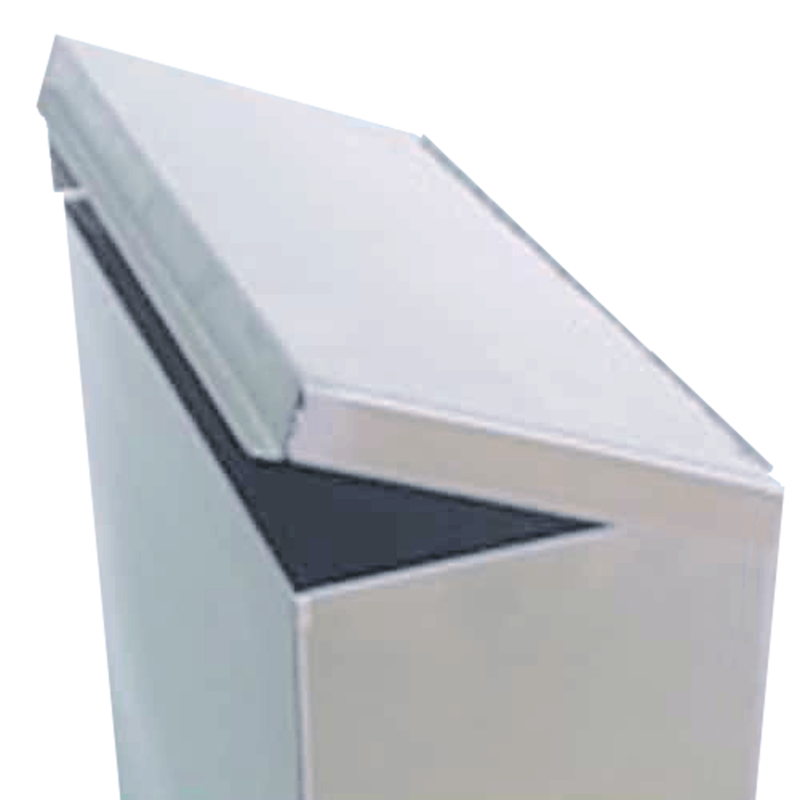 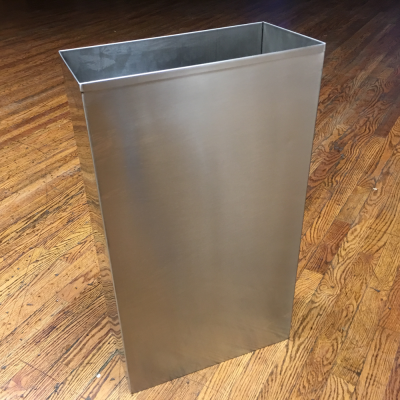 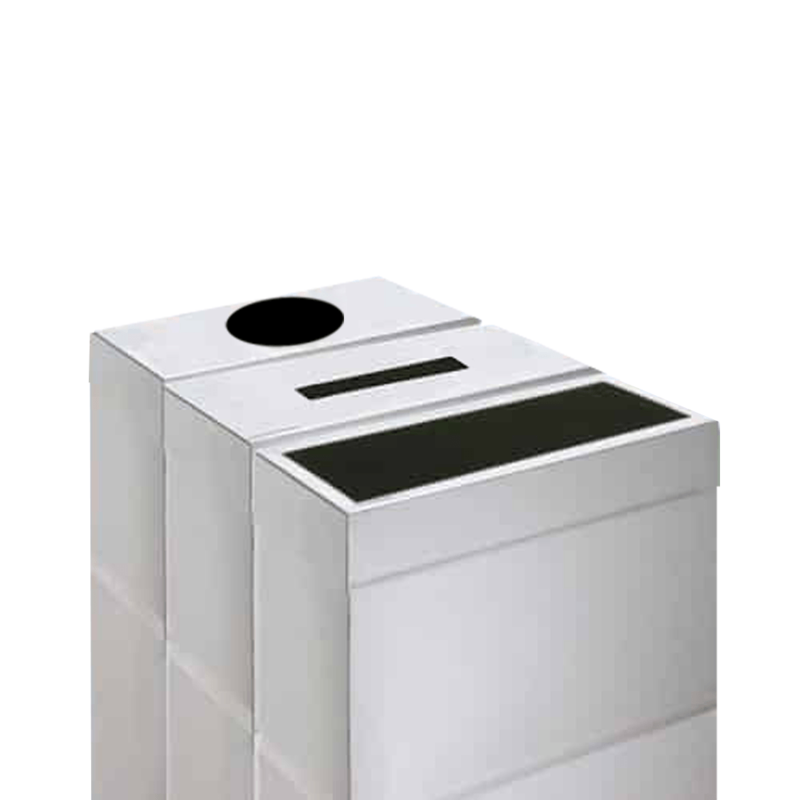 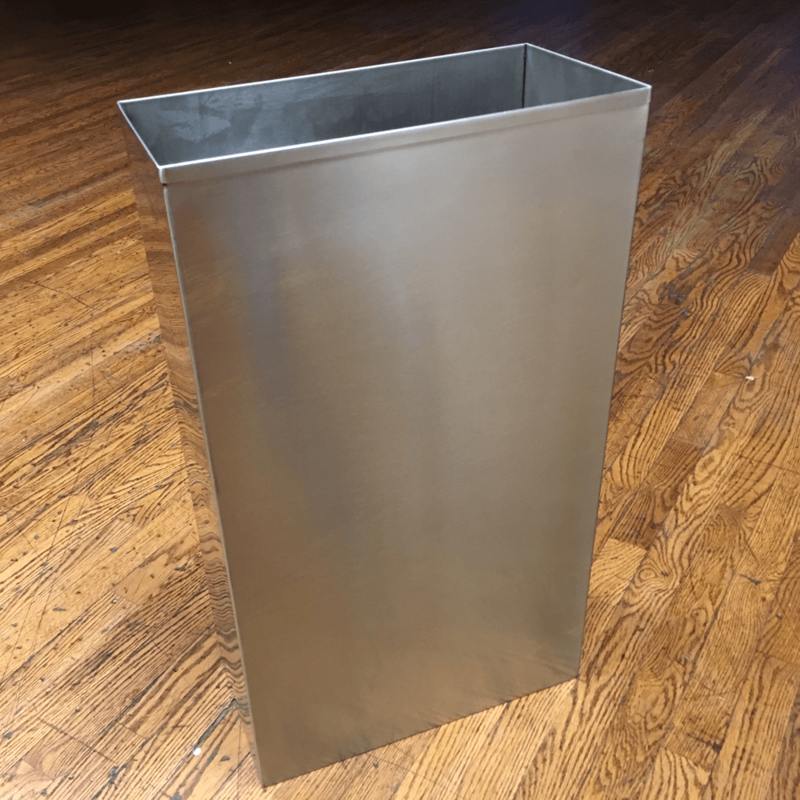 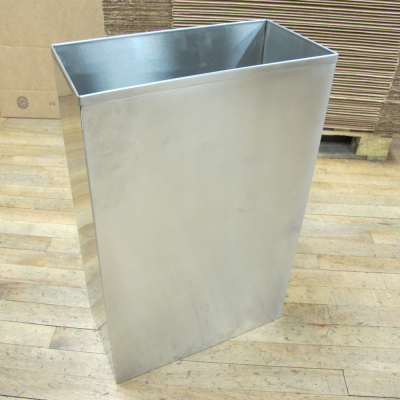 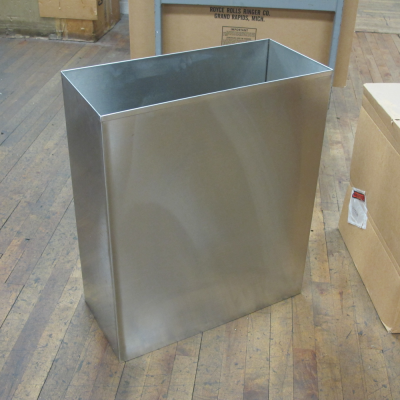 Brand new 16″ x 8″ x 28″ rectangular waste bin. 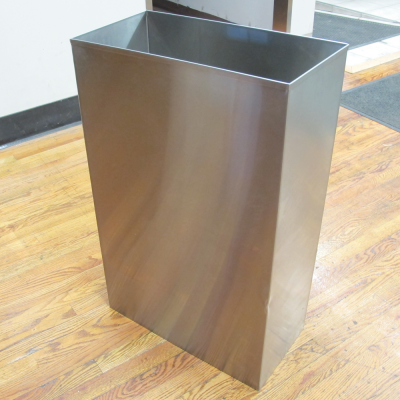 Made of 18 gauge type 304 stainless steel. 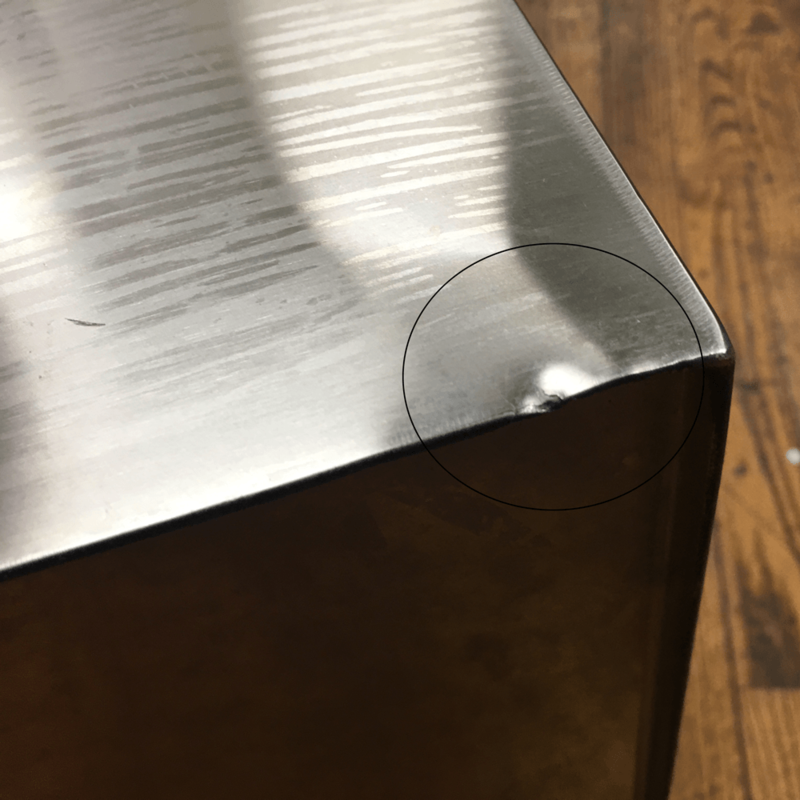 Has a dent on one of the bottom edges (See picture). 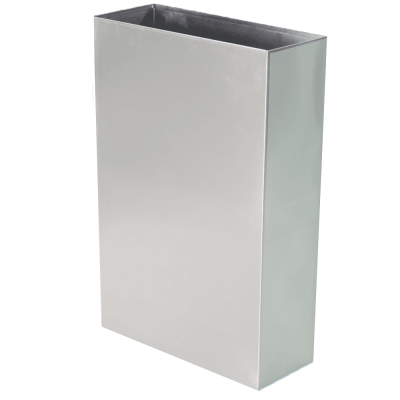 Brand new 16″ x 8″ x 28″ rectangular waste bin.